You hear about local companies struggling to stand up to large corporations all the time. And sadly, "shop local" bumper stickers don't seem to be solving the issue. 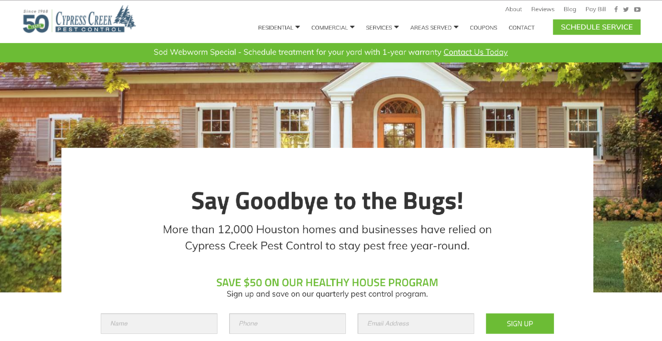 Cypress Creek, a pest control company in Houston, Texas, was feeling the heat from larger corporations and knew they needed an inbound strategy to compete. 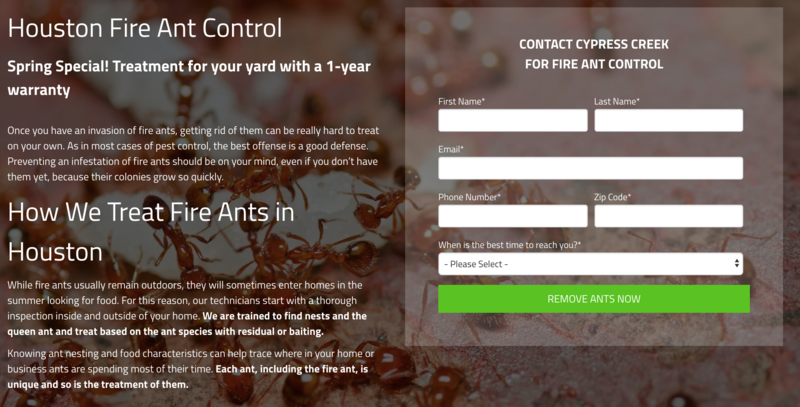 While they had all the tools they needed for superior pest control, they lacked the tools to act on a full inbound strategy—which is where LyntonWeb stepped in. Cypress Creek Pest Control is a family-owned and operated pest control company serving the Houston area. Since 1968, they’ve provided quality and dependable pest control services to homes, agencies, schools, and other local businesses. They protect the health and property of over 12,000 homes and businesses in the state of Texas. And as of 2016, they are a QualityPro certified pest management service. As a small, local business, Cypress Creek’s primary challenge is competing with national brands like Orkin and Terminix. Because of their hyperlocal focus, much of their sales come seasonally, particularly from spring to late fall, despite pests being a potential year-round issue. Beyond their size and location challenges, Cypress Creek lacks an internal marketing team, making even the most basic marketing actions difficult. Elements like PPC, blogging, and email marketing fell to the wayside – making their opportunities for gaining leads through inbound strategies very minimal. However, that doesn’t mean the team at Cypress Creek lacked ideas in the past – just an outlet to act on those ideas. So, they reached out to a local agency to help grow their website traffic. But that agency only assisted with PPC, and Cypress Creek wanted a more robust inbound marketing strategy. Before zeroing in on specific campaigns and ideas, we knew Cypress Creek needed a user-friendly CMS and marketing automation platform to see success. Therefore, our first step was to implement HubSpot and its marketing tools to carry out our inbound strategies. After that, we were able to put specific strategies into action to grow their inbound leads. Cypress Creek had seen some success with a pay-per-click (PPC) campaign but wanted to see even further results. After carefully doing keyword research and approving everything with the Cypress Creek team, we implemented Google AdWords, running different campaigns throughout the year, starting in April 2018 and ending in December 2018. Before working with us, Cypress Creek’s website didn’t have a blog. Because blogging is an excellent tool for traffic, engagement, knowledge, and conversions, we knew right away we had to begin publishing articles on their site. We started with sporadic scheduling, but by last year, were able to write three high-quality blogs with relevant CTAs a month successfully. While working with Cypress Creek, we’ve been able to amass an average of 290-296 blog views per month for their top five blogs. Research done by Unbounce shows a 12% submission rate is good across ten popular consumer industries – making Cypress Creek’s above average. Another tool we began utilizing after introducing Cypress Creek to HubSpot was the platform’s email marketing capabilities. Before our relationship, Cypress Creek wasn’t able to segment users into different email lists, making their email campaigns less effective, due to the fact Cypress Creek targets two very different audiences: residents and commercial companies. They also set out to have well-diversified traffic, which they also achieved. And most importantly, their combined inbound tactics helped them generate quality leads, smashing their previous year’s work by up to 280%. After spending many years as a sports journalist, Corie switched to marketing in 2013. 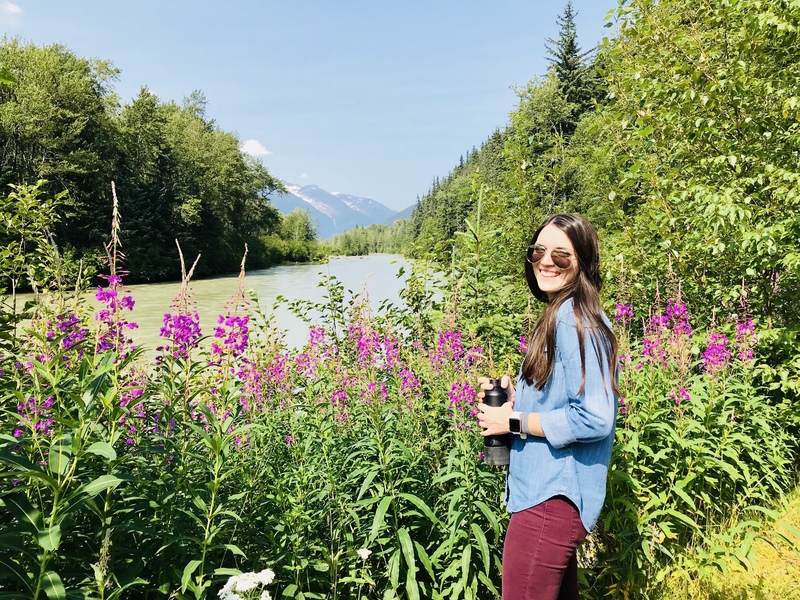 Her love of writing, talking to people, and keeping up with the industry enables her to use her skills for anything from social media to long-form blogging. Outside of work, she enjoys hiking with her dogs and making her cats chase the ever elusive red dot.